Great for event venues, trade shows, bars, clubs & more! 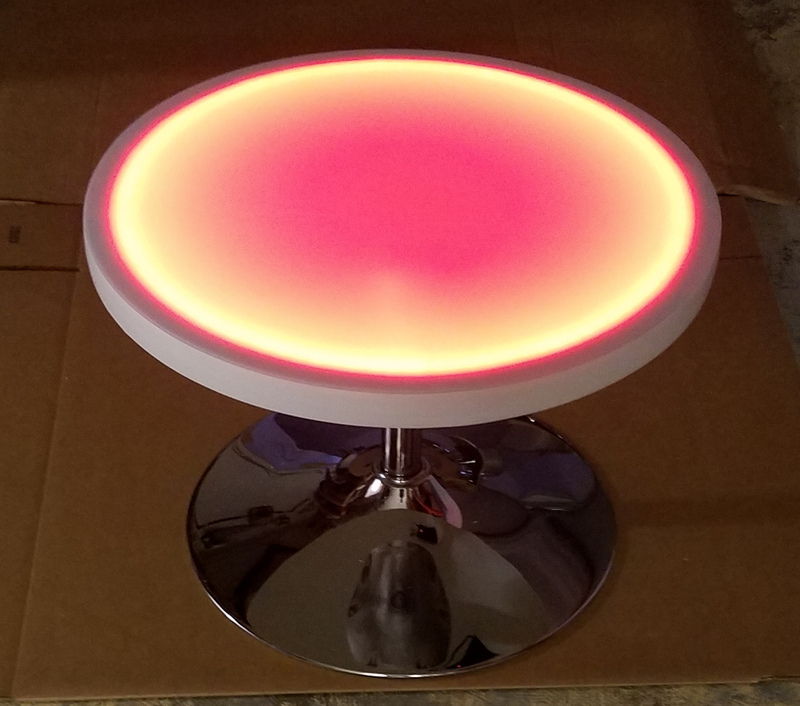 Our 24" round x 16" height glow top coffee table is portable & lightweight. It breaks down into 3 pieces for easy storage. No tools necessary.